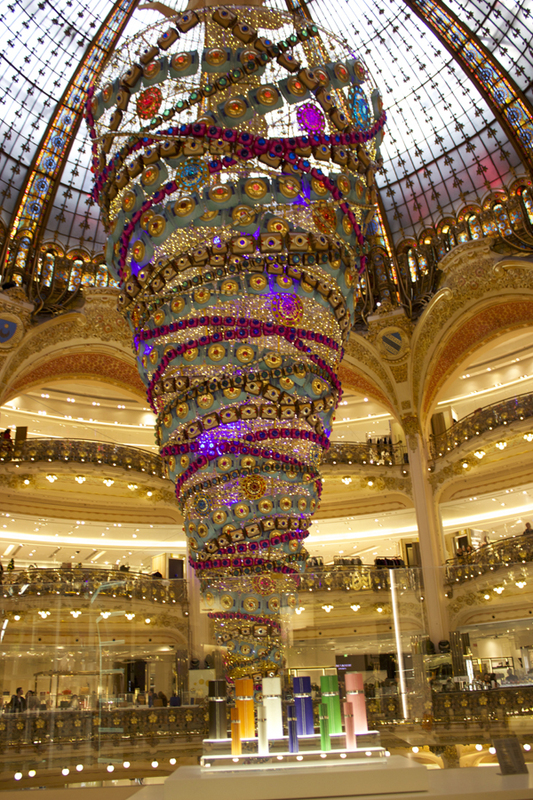 Paris it’s only a train ride away, one of those places where you need to revisit over and over again to fully explore the city of lights. 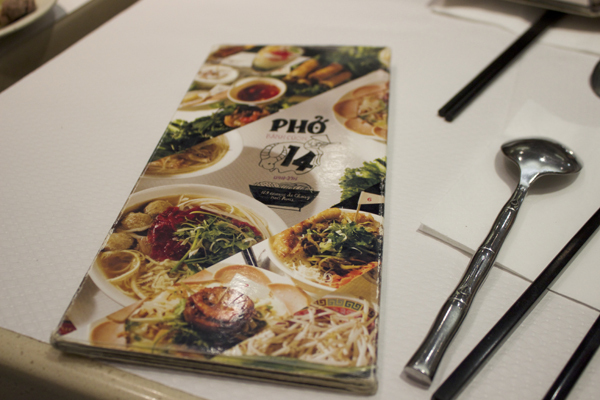 When I last visited in 2011 Pho 14 was refurbishing so my friend and I went to another place nearby. Located in the Place d’Italie / Quartier Asiatique neighbourhood in one of Europes largest Chinatowns. 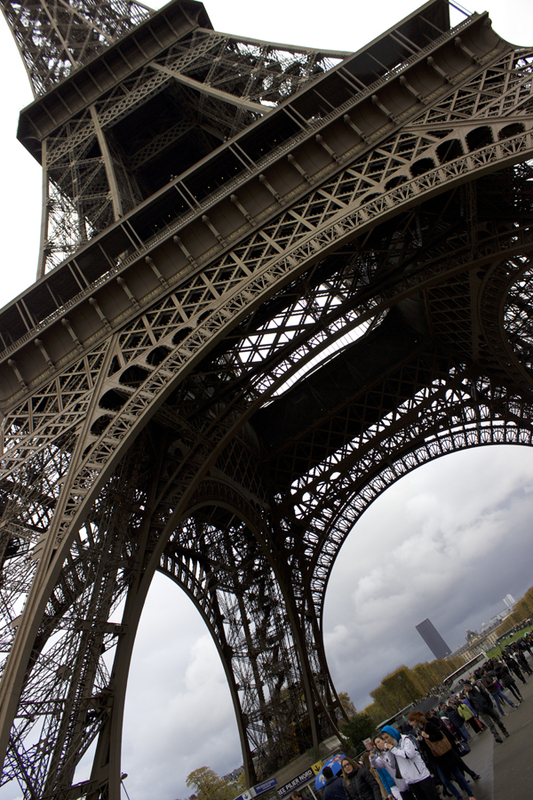 We arrived in Paris that afternoon, staying at Hotel Campanile Paris 11 – Bastille, it’s a great budget hotel close to two metro stations and 15 minute away to the oldest and fashionable part of Paris Le Marais. Dropping our belongings I knew some Vietnamese would have been perfect to keep out bellies full. 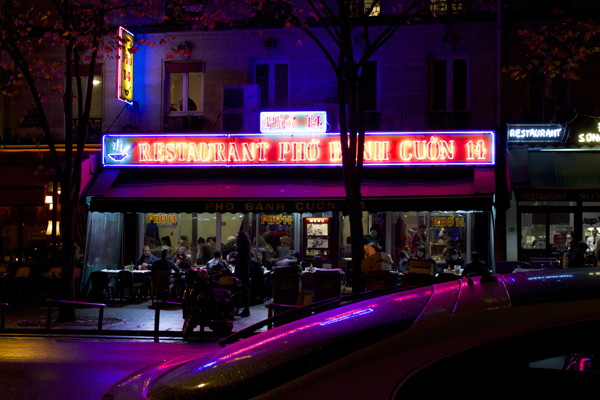 The area was only a few stops away, walking down the ave de Choisy, Pho 14 restaurant front lit up with it’s red, yellow and blue glory. This restaurant is super popular around the world as people back here in London also recommend it to me. Restaurant was rammed with people seeking for seats; we didn’t have to wait long at all. Squeeze into a tight corner between other tables and backs almost touching other diners behind me. 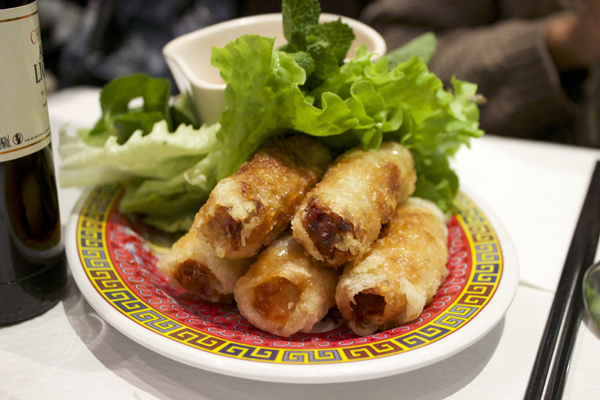 We looked at the menu, I knew I want my usual favourites Pho bo, banh cuon and nems. My friend who lived in Paris always refers Vietnamese spring rolls as nems to me, so I got use to the proper name. 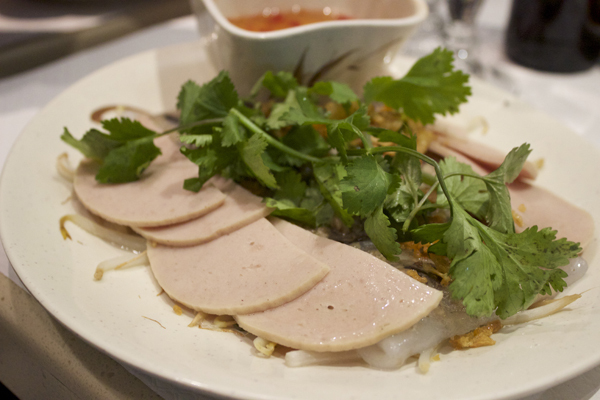 First came the banh cuon and nems, paper thin soft rice rolls, filled with minced pork and ear wood mushrooms, topped with sliced pork rolls and fresh coriander. Drenching them with nuoc cham, my bowl was filled with happiness. Although nems, wasn’t my dish I got to eat a whole one to myself. Each roll was deep-fried to a bubbly multiple golden and brown colour. Leaving the satisfying crunch, the filling very well-flavoured mixed with pork mince, glass noodles and wood ear mushrooms. 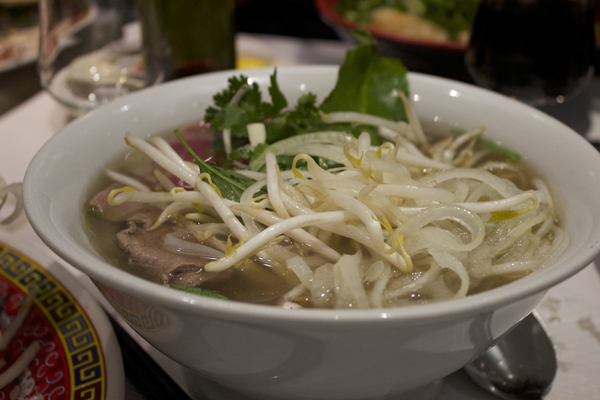 Pho bo, came bubbling hot, the smell of soup broth and onions in that deep oxblood colour was ready for me to attack. I asked for rare beef slices, the rare pink meat cooked in minutes in the hot broth. The onions made the soup sweet, and you can taste all that flavour from the bones. Pho rice sticks had a good bite, and dish left me satisfied, the perfect winter warmer.